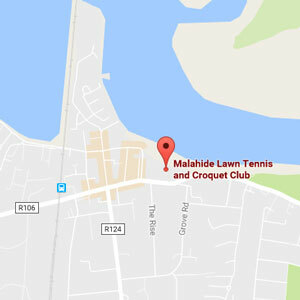 MLTCC Junior Summer Championships is taking place the week of August 13,2018, with Finals Weekend on Saturday 18th and Sunday 19th August kindly sponsored by The Grand Hotel! This is a fabulous annual event for all MLTCC Juniors. Our objective this year is to maintain the same format as last year and increase the number of juniors of every age and every level taking part and to make it a fun event for all. To enable this, within every age group we will be running 2-3 different graded events. Your junior will be entered in a group that is appropriate to their level, whether that is beginner or competitive. There will be prizes within all the different events. We will also be running daily fun activities which will culminate on finals weekend with a bbq for juniors and parents. You can enter by returning the attached entry form with fee enclosed to the office or office mailbox (in an envelope). Entry forms are also available in the club. Juniors can enter a maximum of three events across both singles and doubles. Check the rules and regulations before entering. Closing date for entry is Sunday 30th July but if you are going on holidays soon, please enter before you go so that we have an idea of numbers. Please note that Players must be available the full week of tournament. Due to volume of matches, we are unable to accommodate schedule changes. We encourage all our Juniors to enter and to make this our biggest and best Championships yet!